It’s 9am. That’s early for me – I’m not a morning person. But I have a long walk planned today, from The Mumbles to Oxwich Bay, a distance of around 16 miles I believe, and I need to get going. I walk past the entrance to the pier, with its funny little lifeboat station stuck on the side. And take a photograph across the gleaming water, to where the lighthouse sits on Mumbles Head. It makes a dramatic silhouette against the bright sky. As I walk, I can’t help worrying about buses. 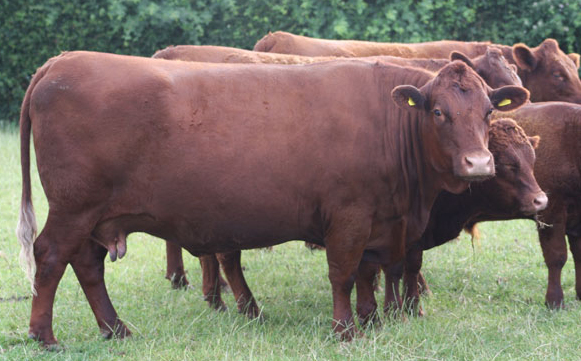 They run very irregularly in the Gower area. And I find bus timetables extraordinarily difficult to follow, full of acronyms such as SDO or NSH or NOS. Schedules will vary with the season, and with term times. Saturday timetables may be different from weekday ones, or they may be the same. Sundays are a nightmare, with Sunday buses often not running at all. It’s terribly confusing. For coastal walkers, misreading the timetable – or missing the last bus – can turn into a major problem. Rural taxis may be very expensive, and you can’t even assume you can use your phone to call one. There’s often no mobile signal. Today, my travel plans are based on the information supplied by the Traveline Cymru website. The last bus from Oxwich, apparently, leaves at 6:30 pm. I should make it easily – if I ran the right searches, and if the data given is reliable. But it’s hard to keep worrying. The sun is shining, a fresh breeze is blowing away the morning mist, and life feels good. Beyond Mumbles Head is Bracelet Bay, flanked by Mumbles Head to the east, and to the west by the small hillock on which sits the Coastguard Station. Past Bracelet Bay, I follow the official Wales Coast Path as it winds around the headland towards Langland Bay. I brought my walking poles with me today, but they feel a little unnecessary. The path is smooth tarmac, new and well maintained. 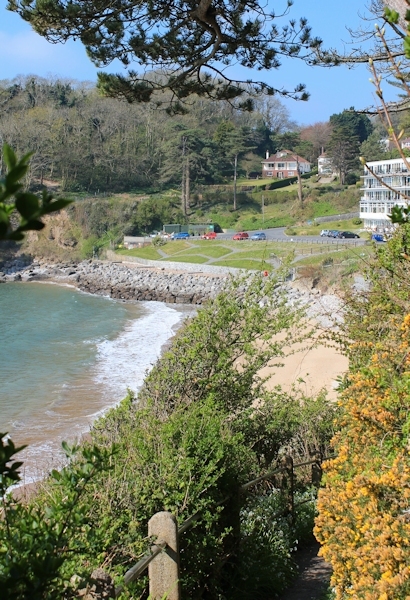 Langland Bay seems popular and I come across several walkers; strollers, not long-distance hikers. Beyond Langland, the path continues onwards towards Caswell Bay. The gorse is out and smells delicious. I leave the strollers behind. Tarmac gives way to gravel, but the path remains clear and flat, with only gentle undulations. Easy walking. I’m making rapid progress. Caswell Bay draws nearer. Caswell Bay is very pretty. But here I come across my first real problem. After following the road for a short distance, the Wales Coast Path dips down towards the beach. But a sign warns me the way ahead is closed at high tide. Diversions can be followed. It’s high tide now, but I don’t believe the warning sign, because I’m sure I can see a clear route up on the other side of the bay. So I follow the path down to the sands. On my way down, I see a blue helicopter parked, rather precariously, on the slope to my right, in the grounds of a large house. When I reach the shore, I realise the waves are indeed covering the far end of the beach. I can’t reach the place where the Wales Coast Path continues. Oh dear! A flight of steps – what I thought was a continuation of the path – leads up to a hotel or apartment complex. I feel annoyed. A sign says the grounds are private. Not wanting to backtrack, I ignore the ‘Private’ signs, and make my way up through gardens and into a car park. The coast path must be to my left somewhere. Surely I can find a way through? But I can’t see the path, or how to get to it. I might have started exploring the bushes on the edge of the property, but I’m nervous. I know I’m trespassing, there are people around, and I don’t want to draw attention to myself. In the end, I walk through the car park and follow the access road. To my dismay, it doubles back and ends up joining the main road only a few yards away from where I started going down to the beach. Wasted walking! But at least I got to experience this pretty bay. The diversion follows the road for a while, before branching off along a footpath to the left, across fields and down into a valley. It’s signposted. Clearly at first. Later I have to get my Garmin out to check where I am. It’s very pretty in the valley, and I get to see wild garlic and bluebells until, eventually, I regain the coast. The diversion has only been a few hundred yards, but it always seems longer when you are not sure of the route. To celebrate finding the sea again, I take a self-portrait. I’m not exactly in the centre. Onwards. I march along the side of sloping cliffs, with the sea below me and the scent of gorse all around. The path is no longer tame. Uneven. Rough. I stumble over rocks and roots, glad I brought my poles after all. Until, ahead, I see Pwlldu Bay. It’s beautiful, and almost deserted. There are only a handful of buildings in the bay. It seems a very isolated section of coastline, perhaps because the only access road appears to be a rough track – that passes through a ford. A ford! Quite a deep ford, with the tide in. But I’m relieved to see I won’t have to get my feet wet. There’s a footbridge a little further along. The only person I meet is a woman walking a dog and I wonder if she is staying in one of the buildings here. Unusually, in such a lonely place, she doesn’t make eye contact or say hello. On the other side of the bay, the path leads up through woodland. The surface is covered in tumbled stones. I suspect it turns into a little stream when it rains. I slog uphill and, when I eventually emerge into open countryside again, am rewarded by a great view. There’s Pwlldu Bay. I can see the edge of the sands of Caswell Bay beyond. And, given the isolation of the coastline, it comes as a surprise to see a largish collection of houses just inland. That must be Bishopston on the outskirts of Swansea. I walk over the high ground of Pwlldu Head, and find myself looking across an open bowl, where the land dips down to the sea. Deep Slade, according to my map. On the other side of the valley is East and West Cliff, where I hope I’ll find somewhere for lunch. The official Wales Coast Path leads around the edge of the bowl in a wide semicircle. But I see a narrow footpath heading straight down towards the rocky shore, where it seems to follow the coastline along the slopes of the opposite headland. What’s my mission? To stick as close to the shoreline as possible. I decide to go down. This turns out to be a mistake. An expensive mistake: time wasted and energy expended for no reason. My footpath seems promising at first but soon peters out. I find myself at a dead-end. The slope ahead is steep and rocky, with no clear route to follow. It’s 1pm. I’ve been walking for 4 hours and am tired and hungry. So I stop and have a snack, before retracing my steps. It’s a very steep climb back up and out of the valley. My legs are aching. The path follows a track into East Cliff and then into West Cliff. I walk across the grassy cliffs and take a photo of the view ahead. There is my destination: Oxwich Bay – a long, curving beach of sand. It still looks a long way away. I’m relieved to see a busy car park at West Cliff. And nearby is a coffee shop with cakes and snacks. It’s warm enough to eat outside. I order a pot of tea and a large scone. This entry was posted in 12 South Wales and tagged coast, hiking, photography, travel. Bookmark the permalink. Thank you for updating. This section sounds very challenging, not alone the unavoidable back-tracking but also the path with the tumbled stones. Your comments on bus timetables and the potential drama of being stranded are pertinent. I am setting off on Tuesday to walk the Macmillan Way without a tent or pre-booking anything other than day to day. I have bought a cheap pay-as-you-go phone on Orange to supplement the generally poor signal coverage of my Vodafone iPhone. 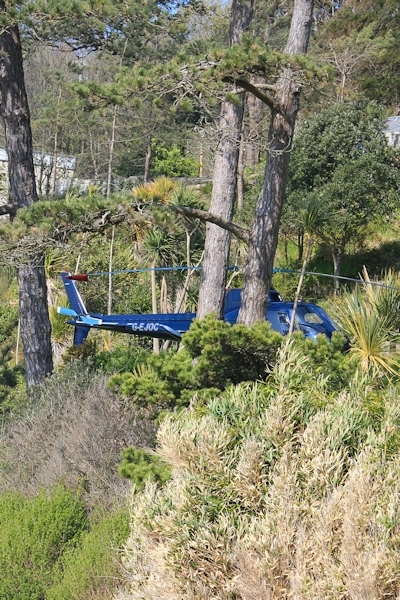 How did that helicopter get itself into the middle of those trees? Just about to write up the Oxwich section 🙂 And good luck with your trek along the Macmillan Way. You are braver than me; I always book my accommodation in advance because of the fear of being stranded with nowhere to sleep. Which section of the Macmillan Way are you walking? You might be passing close to where I live…. always welcome to pop in for a cup of tea. That is a kind offer which I would gladly accept if geography permits. I guess you live in north Norfolk since that is where you started your walk, and if that is the case we would not coincide.. The Macmillan Way has three versions. I am doing the one from Boston to Abbotsbury (south coast – Chesil Beach) and it goes south west to Rutland and then through the Cotswolds. There is plenty of information if you Google. What a beautiful part of the world it is. I only know it from two holidays many years ago but have never forgotten it and how much I loved the area. I actually stayed just above Oxwich Bay.